The primary purpose of Moody G-42 is to support a hands-on, workshop style of instruction. 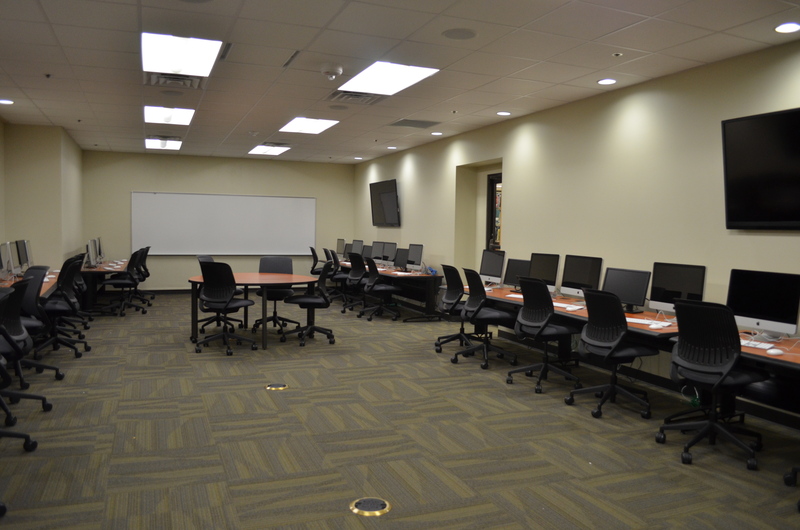 This classroom is designed to allow flexibility, expandability, and ease of access to the student computers. 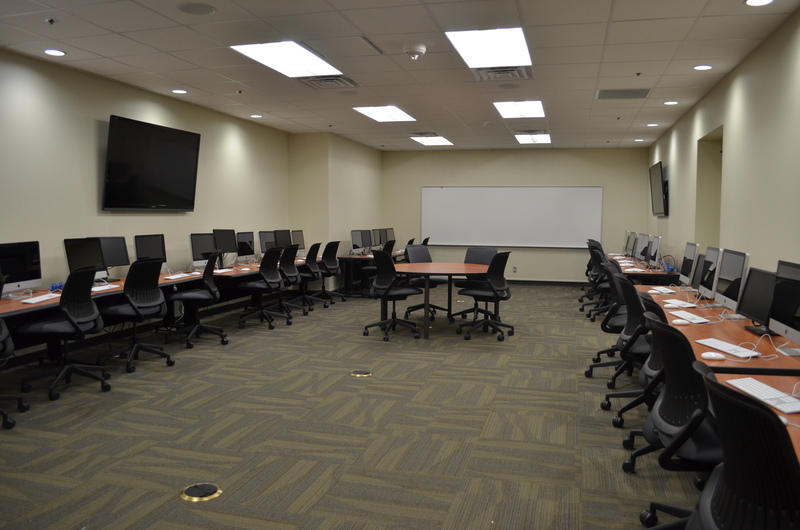 Unlike the traditional computer classroom with rows of computers, the open design of G42 accommodates multiple learning and teaching activities. The basic layout seats 24. The flexibility of this space allows additional seating up to 30.